Published: Feb. 22, 2015 at 12:27 p.m. Updated: Feb. 25, 2015 at 12:30 p.m.
ENGLEWOOD, Colo. -- The night before Saturday's NFL Regional Combine, South Florida cornerback Chris Dunkley received some advice during a phone conversation with his former college teammate, Denver Broncos cornerback Kayvon Webster. "He said just go hard and run to the ball, things like that," Dunkley said. "You can't coach work ethic." Dunkley took those words to heart as he showcased his skills at the regional combine in the Broncos' newly constructed 85,000 square-foot fieldhouse, which includes a regulation-sized football field and also offered protection from a blinding snowstorm swirling outside. The 24-year-old Dunkley was among 135 draft-eligible players taking part in the Denver combine. 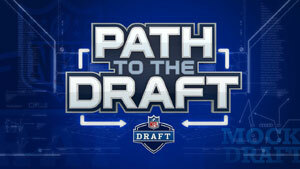 One of five held throughout the country leading up to the April 30-May 2 NFL draft, the regionals offer an alternate path to the NFL for those who don't make it to the league's annual scouting combine in Indianapolis, an invitation-only event. The league began holding regional combines since 2012 as a supplement to the primary combine, and while they might represent the road less traveled to the NFL, players going through the regionals still find their way onto NFL rosters in significant numbers. Some 120 players who passed through regional combines have been signed to NFL rosters in the past four years. Last year, 20 players who took part in a regional combine made the final cut, including 18 who played in the season opener for their teams. An additional 28 were on practice squads and seven were on reserve lists. "This gives them an opportunity to be seen and gives them a certified, valid NFL experience," said John Beake, a former Broncos general manager who oversees the regional combines in his capacity as an NFL consultant. "It's important and they feel good about it." 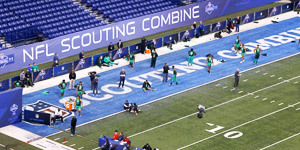 A Super Regional, composed of those players grading out the highest in regional combine drills, with workouts and interview sessions that mirror those conducted at the NFL Scouting Combine in Indianapolis, will be held March 21-22 in Phoenix. Dunkley, for one, was grateful for the chance to show what he could do in front of an NFL audience. All of the players' workouts, drills and interviews will be loaded into a league database, and every team in the league will be able to log on to a website and review player performances. "I feel like I did really well, was fluid," Dunkley said. "I have no regrets, honestly. I gave it my all and if I get another opportunity, I'll do it again." The regional combine is especially important to the 6-foot, 188-pound Dunkley, a former wide receiver who converted to cornerback shortly before beginning his final collegiate season at the suggestion of South Florida coach Willie Taggart. "He's good friends with Dominique Rodgers-Cromartie, Sam Shields and Fabian Washington, all those guys are from that (Florida) area," Dunkley said. "I used to work out with those guys in the offseason. And they called coach when he got the job, saying he's a great receiver but you know to help the team out best, you might want to move him to corner. So they gave me a chance and one day in the locker room coach came up to me, and it was like, 'How would you feel if we moved you to corner?' And I said, 'I'll do anything for the team.' Just like now. "If a team drafts me as a corner and they want to move me to go back to receiver or vice versa, I'm down for whatever. Whatever is going to propel us in the right direction." Last season was the first time Dunkley had played defensive back since high school, though he said he always had an affinity for the position. "I had a knack for it," he said. "I always loved corner but I was a receiver at heart. I always knew if it came down to it I could play both." His receiving background also helped him to pull off what appeared to be a seamless transition. "Oh yeah, definitely, with route recognition, splits, raising up and down in their routes, just like (Richard) Sherman, Sam Shields," Dunkley said. "All those guys played receiver before they made the switch to the NFL. I feel like I'm the same way." Beyond his physical skills and football savvy, Dunkley said he has tried to demonstrate through his actions that he has matured off the field as well. A one-time prized high school recruit whose collegiate career fizzled initially at Florida because of injuries and academic issues, Dunkley was just getting back on track following his transfer to South Florida in September 2012 when he was arrested on a charge of domestic violence battery. He missed the rest of that season and didn't rejoin the team until the spring of 2013, after completing a pre-trial diversion program available to first-time offenders. Dunkley said he has been asked about the incident by some NFL scouts. "I talked to them and I told them I learned from it," he said. "I accepted my consequences and told them I'm in a position where I can't afford to do anything childish or immature." His hope now is to validate the tattoo that he had etched on to his left biceps during his senior year in high school. It is a depiction of the NFL shield.